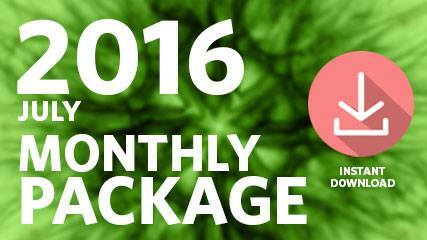 This package includes audio and video from the four sessions of July 2016. In this intimate and profound round table, Eloheim pushes forward again, digging deep into the notion of the Moment and what keeps us out of it. How do we get to the Now, we wonder? By being in the Now in everyday activities, with the small decisions, Eloheim says. By asking ourselves, do I have a story about the now? Am I in the current version of me? “Everything I ever wanted is present in this moment.” Eloheim asked us to sit with this idea, sit without thinking. Our big brain is not our helper in this. What is in the Now? What do I discover in the Now? The group participated in a fascinating discussion, digging around and discovering, with Eloheim’s help, the roots of what is preventing us from being in the Now. And “roots” is the literal word for the discovery that Eloheim made during the meeting. Eloheim was very happy to find the gem, as they said, and it will help them better help us as we explore Level 7. Before the meeting started, Veronica shared a bit of fun news regarding her work with Eloheim being translated and published in a Polish magazine! Eloheim explained they have “fired” the word Moment, detached it from the Now and instead, attached it to Time. Moment has become the definition of time in Eloheim’s dictionary, and Now is the All-Me Place, the very bottom point of the gap visual. Now is accessed through the current version of you without story, they said, or as abbreviated on the whiteboard, CVU (current version of you) + NS (no story) = Now. Eloheim revealed they are teaching us to release the habitual part of us trapped in everything around us, leading to neutrality and discovery. More group work followed this discussion. They asked us, how do you know you’re in the moment and not in the now? Using the whiteboard, Eloheim drew a new graphic demonstrating how our SI gets to the next moment before we do, evaluating and labeling whether it’s safe and certain. To keep you alive, the SI is in the future, using stories based on the past, to protect you from the moment. They then introduced the ideas of the Red X (danger! ), the Green X (safe), and the Brown X (neutral). In reference to all that is going on in the world, Eloheim discussed how to navigate the Red X’s, how challenging it is to get a Green X, and asked us to stay on the inside of our SI’s radar, in the current version of self. The final part of the meeting was Eloheim asking what do we want from them and from these meetings, and hearing the group’s individual responses. Eloheim was very impressed with the group, the meeting, and the progress made together. They asked us to stay in the current version of ourselves, to catch ourselves with Red X’s in places that surprise, and to invite reunion. This Q&A had only one question, something that has become common in the last few years. Eloheim said these sessions have become a time of moving forward the teachings instead of asking a lot of questions. Today’s Q: Do you have any suggestions on how to release the survival instincts from any psychic abilities I have? 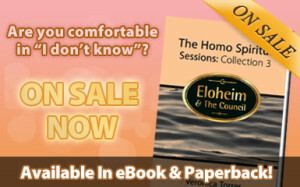 Eloheim said these psychic gifts are versions of “snooping” without the others being aware. It’s a conundrum of energetic snooping when other people aren’t aware they are sharing, leaving the other at a disadvantage, akin to reading their diary without their knowing. Eloheim says ESP is helpful to the SI and has us holding onto stories. Don’t do this as a default, they asked. This topic led to a fascinating discussion between Eloheim and the group about the group’s experiences. The last part of the session explored how your soul is “being each of the subatomic particles” expressed as a couch and how to have a different relationship to yourself and everything in the world. Eloheim challenged us to delve into “where does your gingerbread shape end and the next thing begin?” This is extremely IMPORTANT, they said. It’s all me, it’s all our soul expressing as something other than our body. They asked us to go on FB and list 5 examples each of when we are not aware of the difference between our gingerbread shape and what else is there. For example, where is the end of your skin, can you feel where air is in your body? When you are playing an instrument or painting or writing or building something, can you feel where the tool ends and you begin? It is the next step on our straw journey. They hope this will sensitize us and elevate those awarenesses in our every day life. When we can feel that our soul didn’t abandon us on this planet and is accompanying us in every moment, that it’s not just a notion, it’s going to be life-changing. 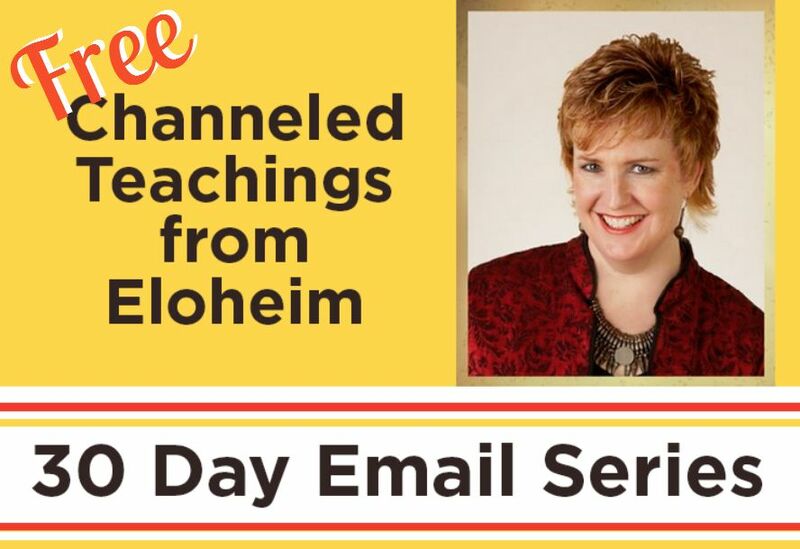 Eloheim also shared some personal things in Veronica’s life, the choices she made, what was behind them, and her journey as an overachieving lightworker. 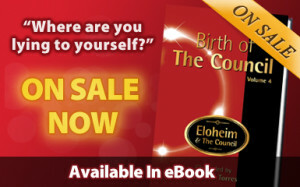 This week featured the entire Council in a novel question and answer session following a two month absence while Eloheim moved the teachings forward. Earlier in the week the Facebook group was invited to post questions for the various Council members and below is just a sample of some of the amazing questions and answers. ⦁ Q: Can you bring in the energetics most supportive of this time? A: The Guardians answered with an analogy, first likening energy to a flowing river, calling it the “Is.” It just is. They asked us to retain an energetic connection our own energetic baseline, and like the flow of a river, the waters on top can get choppy. With Eloheim’s help, they then changed the river analogy to a pool, saying our desire to keep clear, blue water to swim in is how we have to treat our baseline energetic. It’s up to us to maintain the energetic baseline of our own pools, to keep the mud and turds from dirtying our water. They talked about “laying it down and walking away” and how the story is the servant of the survival instinct. ⦁ Q: From Veronica: As I work to find a balance between body, personality and awareness, I find myself aware of more and more layers of energy moving in my body. As I study it’s all me, do you have tips for managing the energetics that come with that study? A: Eloheim and Veronica are at the core of this work, and all of us, the Council and the group, are revolving around them, they are the hub. As the energies come in, Veronica keeps finding different energy channels, and so far there are about 18 of them. Each of these channels do different things. So while it used to be overwhelming and would knock V over like a bowling pin, now there are different ways to reroute the energies coming in. ⦁ Q: Can we get a tangible feedback on our effect of having an energetic presence on the rest of the world? I still feel so small and ineffective. A: It’s very easy to imagine that your effect on the world is your one vote or your one footprint. E has taught you your emanation is your most powerful force. Emanation is cumulative and higher vibrational effects are exponential. So share the positive things on Facebook rather than the low vibrational things. If you share one thing you don’t like, share 55 you DO like! Have a high vibrational tirade! ⦁ Do you have any suggestions about how to explore the Now while keeping an eye on one’s trajectory? A: It’s an interesting conundrum. If your trajectory is I want to live in the now, then we have no question. If your trajectory is I want to have a house in five years, then you’re in outcome. All that is off the table, if you’re in the Now. Your life is completely different in Level 7. Can you live in the gap? That’s our working place. ⦁ How does humanity’s free will impact your trajectory for this planet and can you override any of it? We have an idea how your planet will evolve and you surprise us all the time. We can’t override your free will, it’s your planet. We have an overall idea of how this might work out and has it gone that way? No. We can say something is a potential and we know some of the milestones along the way, but we can’t tell how each and everyone one of you will walk that path. ⦁ If you were an individual human right now, what stance would you aspire to hold when relating to the collective consciousness? A: I seek clarity above all else and I recognize that that is uncommon and not comprehensible to most. I don’t expect to be understood by you. I can continue to emanate and offer the clarity I have ownership of. ⦁ Q: From Veronica: Can you offer additional tips for being the Now? I feel like I bounce off the Now more than when I wasn’t trying. A: The Now has always been present. It’s always been here. It’s like being in the deep part of the pool and you go underwater. It’s the time when you are suspended in the water before you touch bottom. Stop flailing and know the bottom of the pool is right there under you. It’s not an action, it just is. Like the floor, it’s just there. ⦁ Q: Is our Earth in a new energetic frequency? A: We don’t ever use those words, but because the standard of life is higher than it’s ever been and because you are bombarded with things like the news and Facebook, you perceive it lower than it actually is. So the answer is yes. The reality is, the quality of life is higher than your nervous system perceives it to be. ⦁ Q: What is your perspective on the nature of time? A: Time is happening simultaneously. You have dominion over your experience of time, and your survival instinct has preempted it. As we move forward in the teachings, there are lots of conversations like this to be had. ⦁ Q: Any thoughts on being in the Now and loving myself? A: If you’re not in outcome, you’re not in the past beating yourself up, you’re not in the future worrying, and you’re in discovery. In those places, in the Now moment, it’s a lot easier to be nice to yourself, there’s nothing to use to beat yourself up! ⦁ Q: From Veronica: With the work of Level 7 and all the news of the world, I feel like I’ve lost touch with delight. Can you offer any help in reconnecting with that? A: Just as we came in, we opened a new energy channel to help Veronica with that. When dropping into the Now, there’s a neutral place in the gap. You’re not actually getting down to the discovery part of the Now. There’s no adrenaline, it’s neutral, and like dropping into the pool, there’s not much stimulus before you touch the bottom. The exploration of the Now can bring that delight back. ⦁ Q: How can we best support Veronica? A: After saying thank you to John for asking and telling Veronica she doesn’t get to edit their answers, the Girls shared that V doesn’t enjoy feeling completely alone, imagining nobody cares, and wondering if she is alone in caring about something. She doesn’t enjoy being the one who has to instigate all the activity on Facebook or wondering why her books don’t sell. She has given up. The Girls asked us to post where the work has helped us, where something works in our life when we use the Eloheim tools. Make conversation. Sharing how we thrive is what helps Veronica see what to her is success. The Girls got emotional when they talked about Veronica remembering private sessions and wondering how it all turned out. Sometimes it takes a year for her to hear feedback, they said. That’s her work with them. ⦁ Q: How do you feel about time, can you talk about the nature of time? A: No one in human form can explain or understand it yet. It’s like the holodeck, nobody really knows how it works. It’ll break your brain. Put it aside for now, the Warrior said. ⦁ Q: Please help us bring in more courage to work on what is coming up at this time. A: We can’t make you courageous but we can help you understand the limitations of acting from fear. We are empowering you with actionable tools. ⦁ Q: From Veronica: How did you make the transition from the cave (battles and stuff) to the home life (marketplace)? A: Running around in the woods was a very habitual life. We had love on our side, we were highly motivated and a little bored with the other life. We had a desire for that kind of evolution. ⦁ Q: Can we have a check-in on the fractal living project we started in 2011? A: You’re doing exceptionally well! Each of you has been incarnate conservatively 2-5000 years, and in five years, you guys have gone from asking questions about individual problems to questions that are open ended and are moving the teachings forward. This community has an arcing trajectory. It’s completely different. Celebrate this, we require it. You can’t tell when you are in the middle of evolution, and you are in the middle of a changing time so we have to tell you. ⦁ Without a new question, Fred went on to talk about how different Levels 1-6 are from Levels 7-9 and asked us to delineate when we are talking on Facebook or elsewhere what Level we are speaking from and to check in with ourselves. No levels are wrong, it’s just essential that we know what we are doing. Fred went on to further discuss being in the Now and experiencing infinite possibilities. ⦁ Q: You clearly see our ascended selves and there’s always a connection felt. How can I bypass my feeling of “other” and find the connection so our energies can meet? A: When the door to outcome is firmly shut, then the path to these sorts of reunions is the only way you can be. Just like the floor is always under you, this path is the inevitable path.